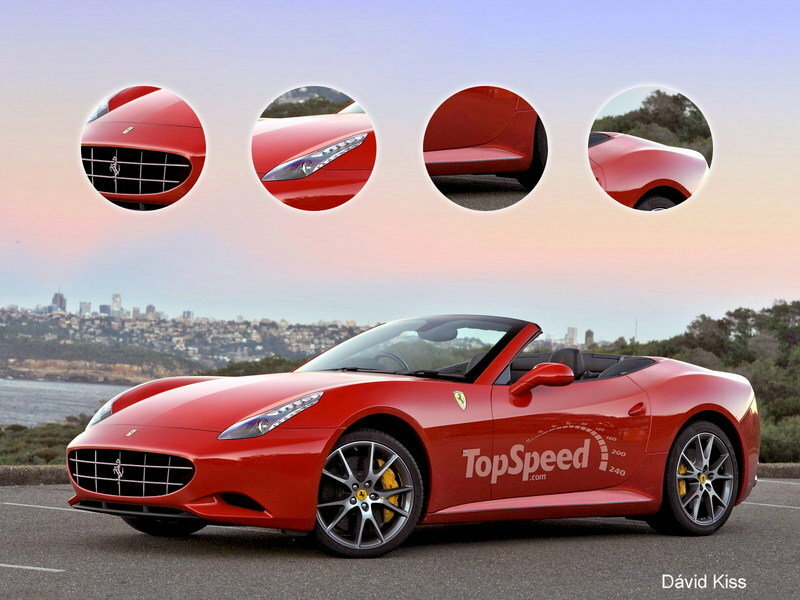 Ferrari’s California T has quickly become a favorite among grand touring aficionados since its introduction for the 2015 model year. 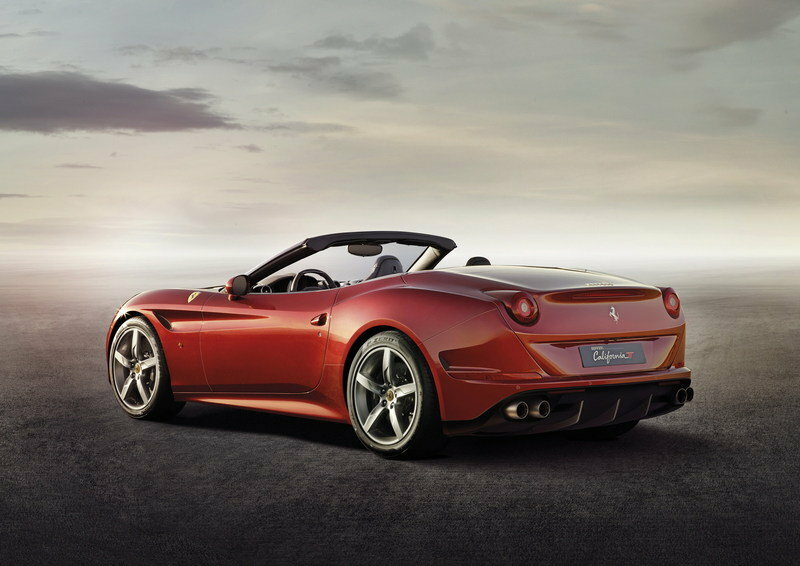 The front-engine, hardtop convertible is the least-expensive prancing horse in the Italian automaker’s stable, but offers all the grace and power of a proper Prancing Horse. The new California underwent some drastic changes with its last redesign. 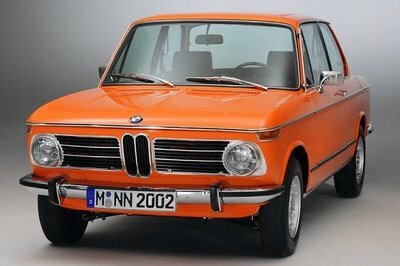 It’s still the same 2+2 sports car, but its appearance is much more striking. Sharper lines add a certain crispness to its exterior and new interior comforts make the idea of long weekends on the road even more enticing. The big news for the California T is what lurks under the hood: a turbocharged 3.9-liter V-8 featuring a host of power-adding, fuel-sipping technologies like direct injection and Ferrari’s Variable Boost Management. Producing a potent 560 horsepower and 557 pound-feet of torque, the California T hits 62 mph from a standstill in just 3.6 seconds. The California T replaced a car that was frequently criticized for its softness and lack of Ferrari-ness. Debuting for 2009, the California featured a naturally aspirated 4.3-liter V-8 that made 460 horsepower and 357 pound-feet of torque. Much of the commotion came over that engine’s placement – a mid-front position – which was a first in the automaker’s long history. 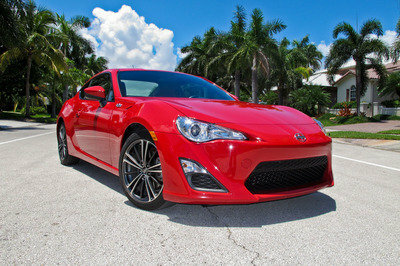 Nevertheless, the car sold fairly well with its lower-than-average asking price. However, Ferrari is never one to rest on its laurels. The 2017 model year is bringing a new high-performance handling package for the California T. Called the Handling Speciale, or simply HS package, the new option adds several upgraded bits, including stiffer springs, new damper settings, revised transmission calibration and F1-Trac logic traction control, a sportier exhaust system, and bespoke appearance upgrades. Update 01/22/2016: Ferrari has announced a new performance handling upgrade for the California T called the Handling Speciale package. It combines several key updates that will give the California T better track handling and a throatier sound.The HS package will make its official debut at the 2016 Geneva Motor Show. The California’s overall design didn’t change when Ferrari added the turbo, but the look certainly became more aggressive. A new, more angular grille is flanked by the snarling lines of the side intake vents while just above, slimmer, more angular headlights rise along the sharply creased finders. Two scalloped indentations are at home on the reworked hood, giving it a much sportier look than then outgoing model. Around the side, the car’s flanks are said to be inspired by the 250 Testa Rossa’s famous pontoon-fender styling. The side vent’s sharp lines run rearward, almost meeting the heavily creased rear fender, breaking only to allow a neutral space for the door handle. Out back, the California T has a much different look. A new vent appears just aft of the rear wheels that bleeds its lines into the rear fascia under the license plate scallop. Just below sits a completely reworked lower air defuser with three large fins and horizontally organized quad exhaust pipes. The round taillight pods still remain, as does the high-rising rear deck lid that accommodates the folded hard top. 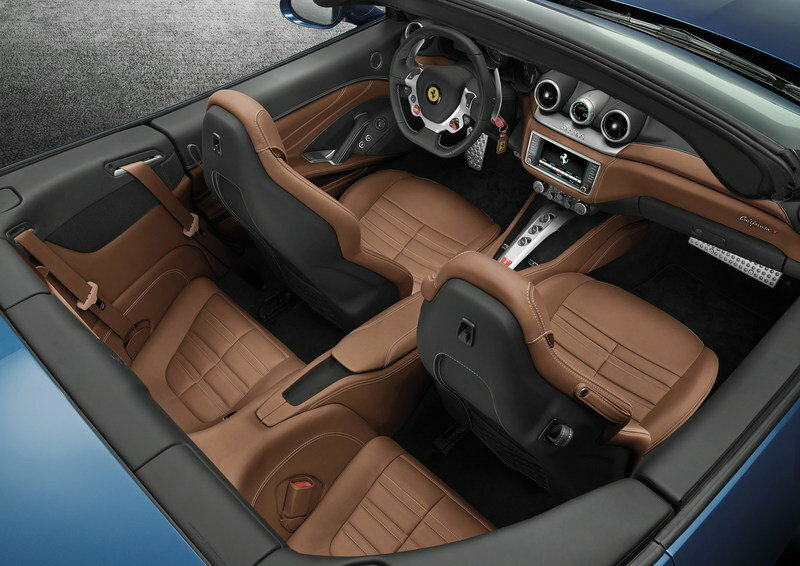 Beautiful five-spoke dark-grey alloy wheels with Ferrari’s famous yellow center cap put the finishing touches on the California’s stunning redesign. 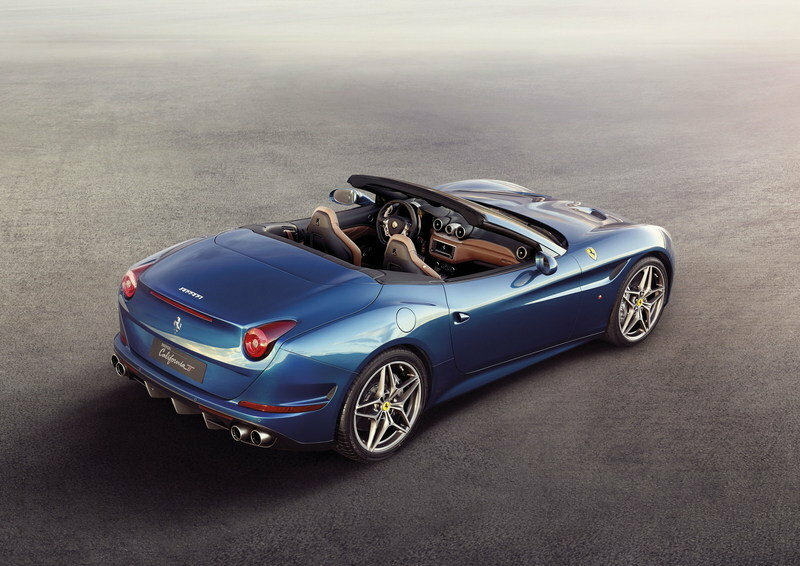 Like the previous generation, the new California T features a retractable hard top that stows neatly in the trunk. A mere 14 seconds is all that’s needed to bring the outdoors in. Opting for the Handling Speciale package adds a new front grille colored in matte Grigio Ferro Met paint with a matching rear diffuser. Matte black tailpipes and fences provide accents. The car is otherwise unchanged, giving those who purchase the HS package all the beautiful lines of the standard California T.
The new interior still has many of the same features and appearances as the previous California. However, much like the exterior, the interior was sharpened up for a more purposeful design interpretation. Quickly noticeable is the new multi-function steering wheel with enough controls to look like it was ripped out of an F1 car. The three-pod gauge cluster still remains though it was revamped with a new look and updated graphics. The center infotainment system is angled slightly more vertical, as are the bank of HVAC controls. Below that is a reworked center console with buttons for reverse, automatic mode, and lunch control. The huge paddle shifters continue to shine brightly from behind the flat-bottomed steering wheel. For those with the Handling Speciale package, the interior receives a special plaque that denotes the car’s upgrades handling characteristics. The biggest upgrade for 2015 is the new powerplant found under the sculpted hood. A turbocharged 3.9-liter V-8 with direct injection and Ferrari’s Variable Boost Management produces 560 horsepower and 557 pound-feet of torque. The Variable Boost Management helps keep the torque curve flat throughout the rpm range while simultaneously conserving fuel. Total fuel consumption is down around 15 percent, despite the additional horsepower over the last California’s 4.3-liter V-8. CO2 emissions have also dropped by 20 percent. Besides conserving natural resources, the turbo helps shoot the California T to 62 mph in a blistering 3.6 seconds. 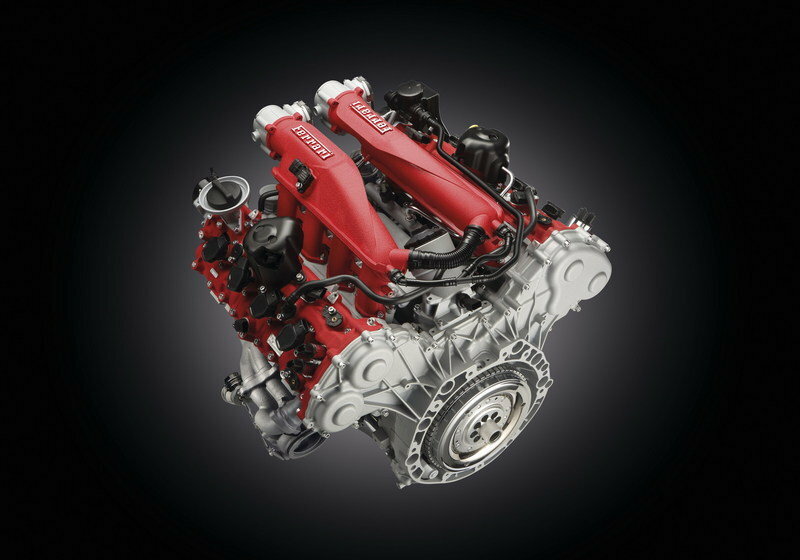 Ferrari says the new engine design eliminates virtually any turbo lag for an immediate response in power. Like before, the engine is mounded very low and far behind the front axle for a low center of gravity and ideal weight distribution percentages. That design comes in very handy when on twisty back roads or on the racetrack. Of course, if you’re planning any serious track-day times, then the California T’s new Handling Speciale package is a near necessity. Not only does this handling package upgrade the suspension (more on that later), it also upgrades the powertrain. Both the engine and transmission’s electronic software controls have been upgraded with a faster throttle response and quickened shift times when in Sport mode. The HS package brings an all-new exhaust system with revised geometry and silencers that progressively increases the exhaust note as the engine revs. The higher the revs, the louder the exhaust. Making the California T handle like a Ferrari, the car’s steering than suspension systems were heavily revised. Steering response to driver inputs were increase while steering wheel activity was reduced thanks to a new steering box and linkage setup. News springs were added and the latest generation of Ferrari’s Magnaride dampers installed; the latter of which is 50 percent faster at responding to changing road conditions. The system is aided by body motion accelerometers that relay information back to the computer for reduced roll and pitching movements in cornering and a smoother, more compliant ride on the road. Keeping the California out of the ditch is the latest generation of the F1-Trac traction control system with its steering wheel-mounted control knob. The optional Handling Speciale package further increases the California T’s road-holding abilities. New springs are added at each corner, with the front springs being 16 percent stiffer than the standard springs, while the rears are 19 percent stiffer. Upgraded SCM3 magnetorhelogical dampers have increased reaction speeds over the standard dampers. New software for the F1-Trac logic traction control helps the car put down power, especially when exiting a corner. All the suspension and software upgrades help the California T have a more sporting ride when in Sport mode. Ferrari says the HS package will cause the car to suffer a slight reduction in ride quality, but will be far more stiff in the corners with less body roll and brake dive. 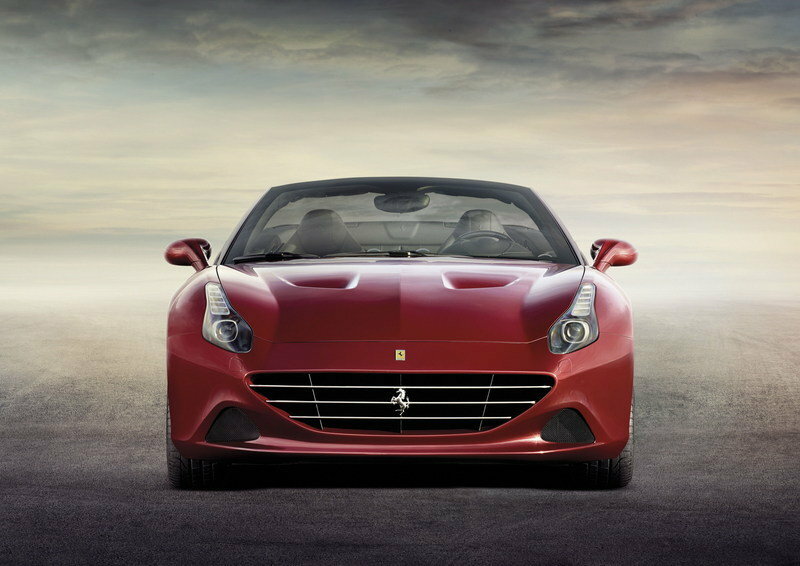 The 2015 Ferrari California T carries a starting price of roughly $198,000. Of course, adding options drastically increases the bottom line. Ferrari usually doesn’t overly advertise its prices, but we don’t expect to learn how much the new Handling Speciale package will cost until much closer to its dealership debut in the latter half of 2016. 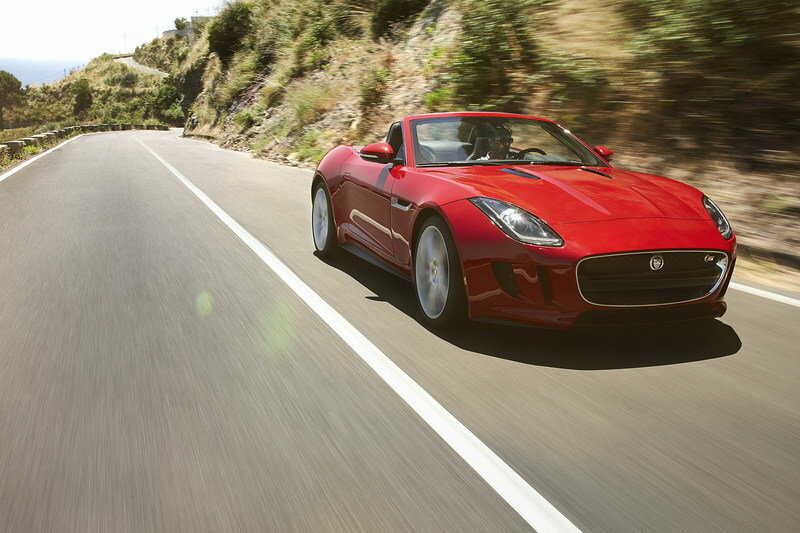 Jaguar’s revamped image owes a lot to the new F-Type coupe and roadster. In its burliest form, the cat sports a 5.0-liter supercharged V-8 pumping out 550 horses that propel the car from 0 to 60 mph in 4.2 seconds. Top speed is less than the Ferrari at 186 mph, but the significant drop in price helps justify that. Starting price for F-Type R with the supercharged V-8 begins at $103,000. In our eyes, having the ability to buy two F-Types for the price of one California makes a strong return on investment case. The Audi R8 has undergone a massive transformation for the 2017 model year. The second-gen R8 is slightly longer, wider, and lower, while a sharper, more aggressive design brings a fresh look. 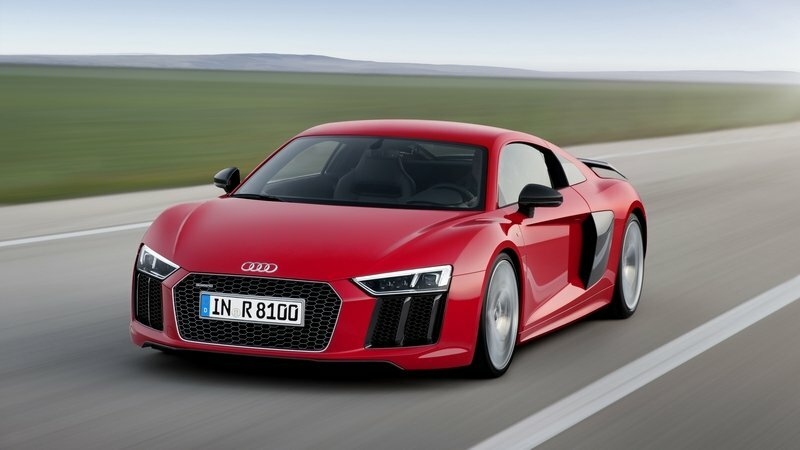 The R8’s quattro AWD system is heavily revised, with a new computer-controlled clutch that delegates power to the front axle. Power is also up from the 5.2-liter V-10, in both the R8 V10 and V10 Plus versions. The standard V-10 makes 540 horsepower and 398 pound-feet of torque, while the V10 Plus edition bumps that to 610 and 413 respectively. The 2017 R8’s interior is vastly improved, with a more angular design throughout and Audi’s fully digital gauge cluster. Prices for the R8 V10 start at $117,000, which is more than the Jaguar, but far less than the California T.
There’s a lot to like about the California T. It’s got the power, the look, the Ferrari heritage, and the conveniences of a loaded-out interior with a power-folding hard top. 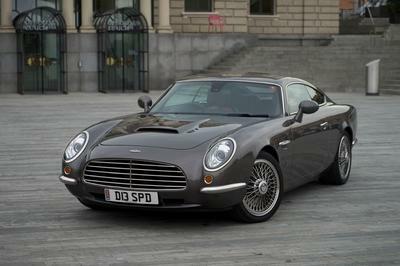 It also boasts a very competitive 0-to-62 mph time and a top speed of 196 mph. The California doesn’t quite represent the bang-for-the buck deal as its competition, but there’s a lot of brand loyalty and prestige behind that prancing horse. 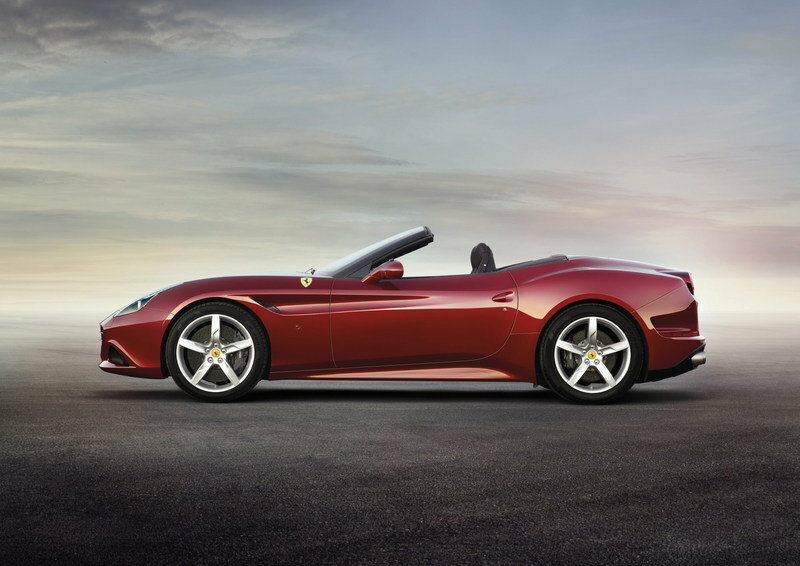 We’re glad Ferrari is continuing to update the California T with new technology and handling packages. Even the entry-level car needs love, too. After all, it serves as a gateway into higher-spec Ferraris. Well, you can’t expect to win them all, and we certainly did not with our rendering. While our overall shape was accurate, the details just were not there. The grille is completely wrong, the hood lacks any of the detailing the real model. We’ll get ’em next time. 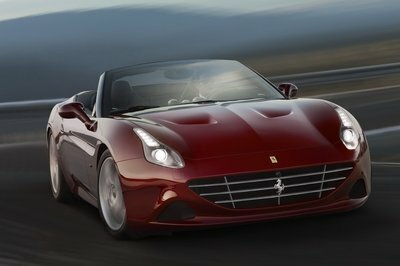 Updated 2/12/14: Ferrari has finally revealed all the info on the new California. Updated 02/14/2014: Ferrari unveiled a new video from the car’s official debut in Maranello. The unveiling ceremony took place over two emotion-charged evenings at the Casa Natale Enzo Ferrari Museum. Enjoy! Updated 03/05/2014: We’ve added a series of new images from the California T’s official debut in Geneva. You can see them all in the picture gallery! 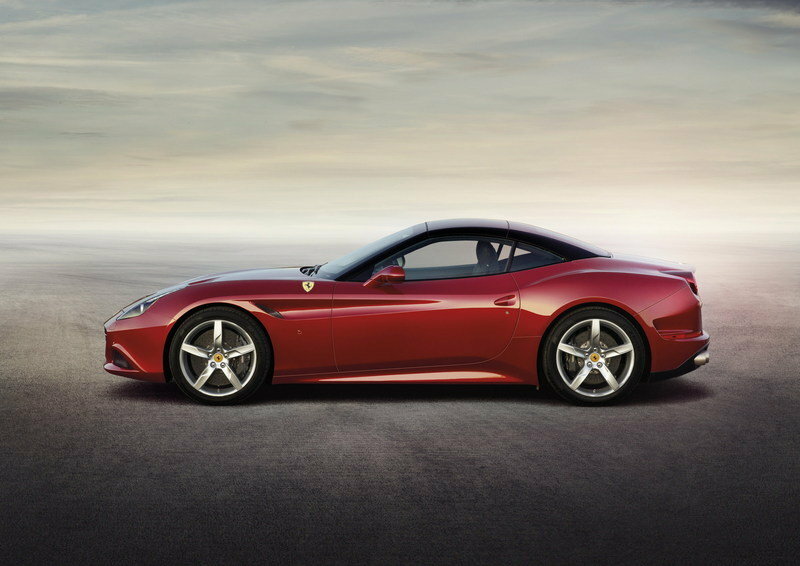 Updated 03/07/2014: Ferrari unveiled the first official video for the new California T. Enjoy! 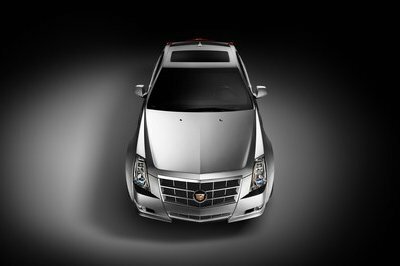 Updated 4/24/14: The California T was just named the “2014 The Most Beautiful Automobile Award China” at an event organized by Car and Driver in Beijing. The direct-injection, 3855 cc turbo 8-cylinder is mounted very low in the chassis in a mid-front position and delivers 560 cv at 7500 rpm, which translates into a specific power output of 145 cv/l - the highest in its category - as along with maximum torque of 755 Nm. Figures that give the California T extraordinary acceleration over the 0 to 100 km/h sprint which it covers in just 3.6 seconds. As in Formula 1 this season, a turbo is used to cut fuel consumption and CO2 emissions. Compared to the outgoing model, fuel consumption is down by around 15 per cent* despite 70 cv more power and a 49 per cent increase in torque. Emissions are down to 250 g/km over the combined cycle which equates to a 20 per cent reduction in the CO2/cv ratio (0.44 g/cv). The California T’s engine also benefits from several other solutions used on the single-seater, not least compact, very low inertia twin-scroll turbines to ensure ultra-sharp throttle response. The Scuderia’s methodologies and plant are also used for certain phases of its production, particularly at the casting stage. The California T delivers true sports car dynamics too, thanks to reduced steering wheel activity and improved steering response to driver input, courtesy of a new steering box and suspension set-up. New springs and latest-generation Magnaride dampers (which respond 50 per cent faster), combined with body motion accelerometers, reduce roll and pitch for more precise handling whilst still guaranteeing an incredibly comfortable ride. The CCM3 carbon-ceramic braking system is also extremely efficient with new composite discs and pads. The brakes are integrated with the ESP 8.0 premium which controls the high performance ABS for a short 100 to 0 km/h braking distance of just 34 metres.